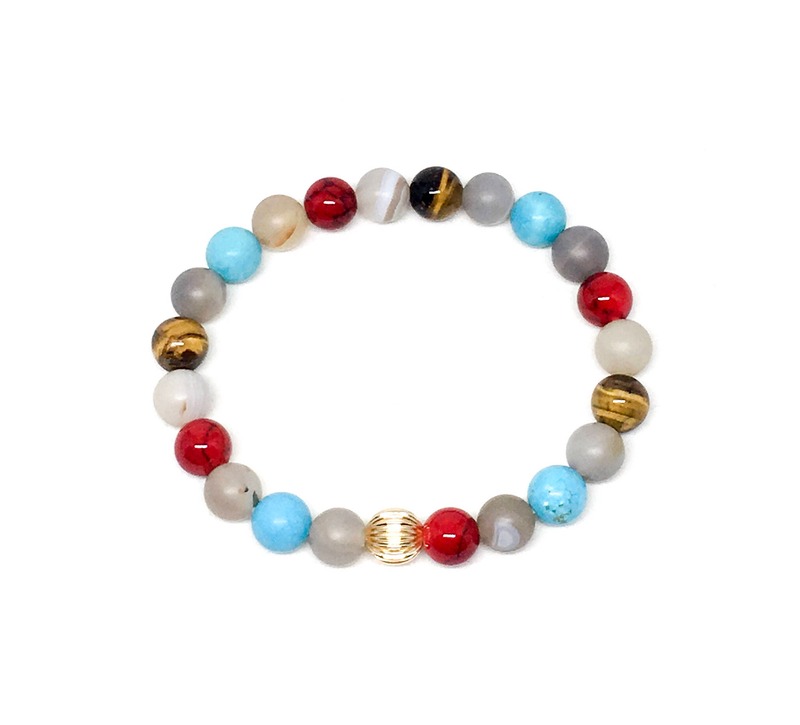 Beautiful mixed gemstones women’s beaded bracelet. All beads are 8mm and the 14k Gold Filled Bead is 8mm as well. 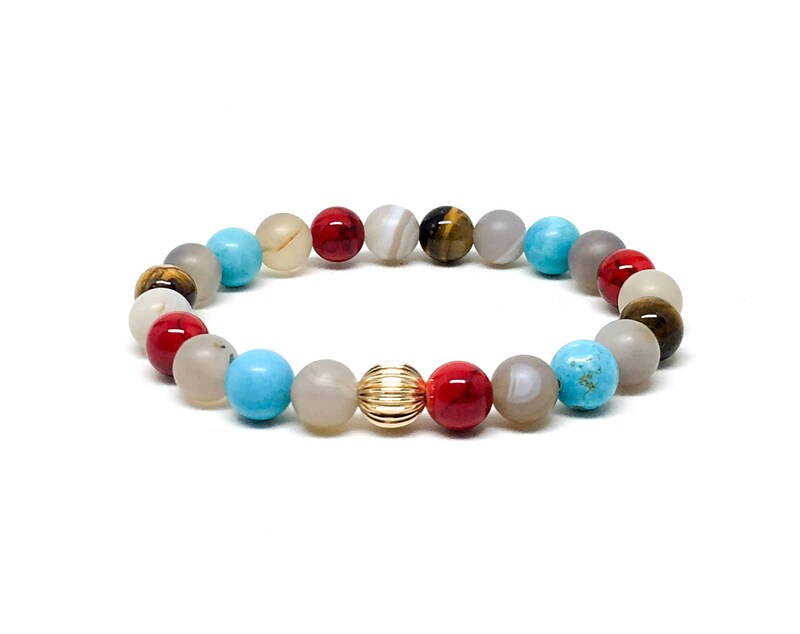 This beautiful women’s bracelet comes in a customized Sill Suede jewelry pouch with our logo.